The time spent in and immediately after college is a short, but fertile period for emotional expression. 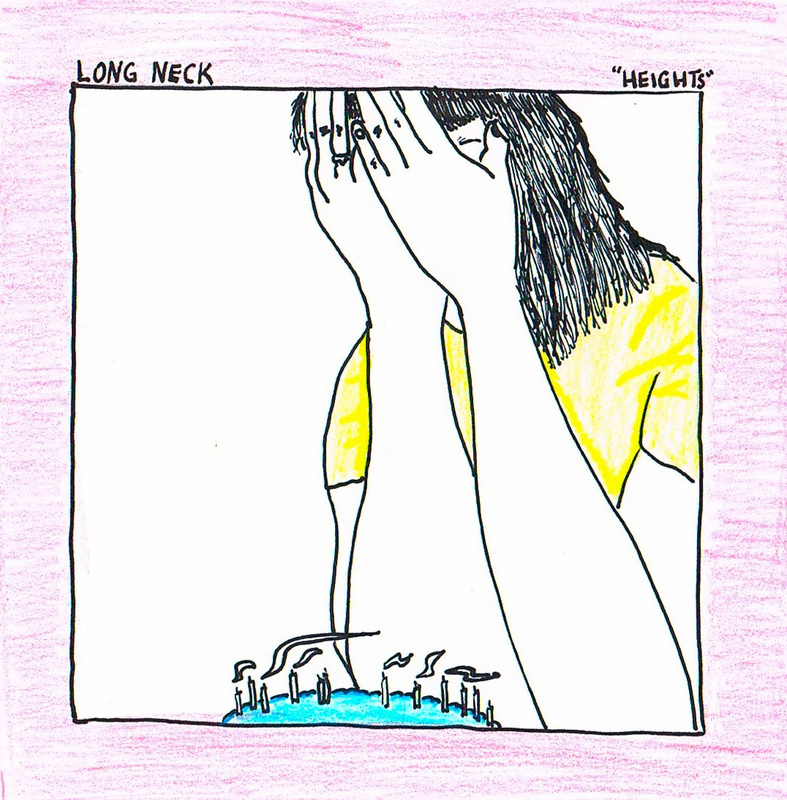 Lily Mastrodimos, vocalist and guitarist of the punk band Jawbreaker Reunion, has released a compilation of songs under the name Long Neck that she “wrote during and about four years of college and three years of coming to terms with an abundance of things and figuring myself out.” Heights is a beautiful quilt work of lo-fi pop songs that provides an intimate glimpse into these self-reflecting endeavors. Heartbreak is a recurring theme on this album, and Mastrodimos inspects the many ways we may grieve and try (despite failing to) move on. She gives a self-deprecating promise to somebody dear: “i know you don’t miss me as much as i thought, but it’s ok, it’s getting better” in “Ludlow.” Her assurance is hardly convincing, but perhaps this transparent way of pretending is the most honest portrayal she can give us.